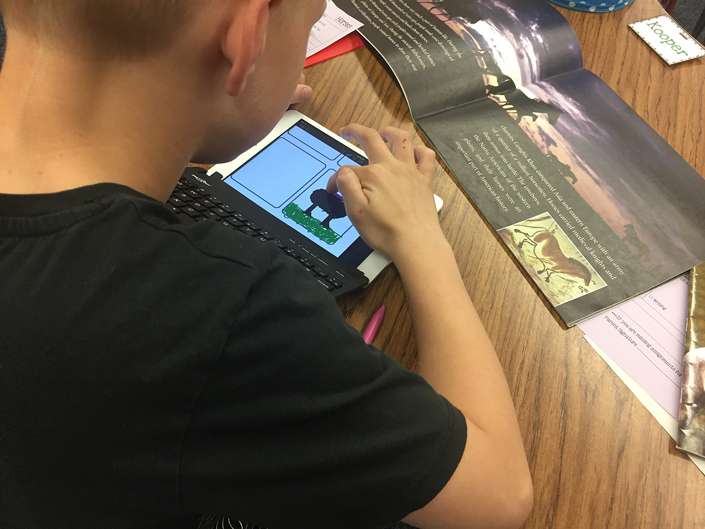 When Idaho teacher Christine Poulsen’s Teton City, Idaho school began introducing devices, the hunt was on for an app that would allow her to create assignments without downloading and uploading. After trying many options, Showbie was the ideal solution. Showbie recently talked with Christine about her journey to the ideal app. Here’s what she had to say. Showbie: Tell me about yourself. 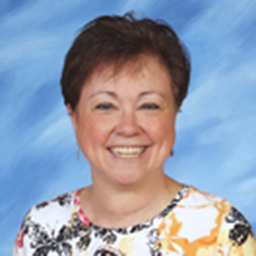 CP: My name is Christine Poulsen, I am 60 years old and I have been in education for twenty-four years. I spent twelve years as a high school librarian and twelve years teaching 4th, 7th, and 8th. I enjoyed the library but my love is teaching. I am certified K-8 all subjects, K-12 Media Specialist, and K-12 Gifted and Talented. I have been married for forty years, have three married children, and 6 grandsons. I have a tuxedo cat and live on the Idaho side of the Teton Mountains in Teton City, Idaho. Showbie: Is your school 1:1? CP: My school is not currently 1:1, but we are working at it, a classroom at a time. I have 1:1 ipads, an iPad Pro with an Apple Pencil, Apple TV, and a projector. Technology is important for me to incorporate into my classroom because it is the way of the world. My oldest grandson doesn’t know a day in his life without an iPad. While handwriting is important, getting them to slow down when writing and make the letters correctly has been greatly improved using the iPad. Showbie: How do you use technology in the classroom? CP: I use technology for everything in the classroom. My library of nearly 2,000 books is barcoded using Libib.com and the students check out their books using a barcode scanner. Not as many books go missing because they get to check them out themselves. Showbie: What problem were you trying to solve with Showbie? CP: I wanted a program/app that would allow me to upload curriculum activities for my students to complete. The program/app needed to allow my students to annotate the document with a stylus and/or text. I also wanted it to keep the documents in the program and not have to be uploaded to a drive. 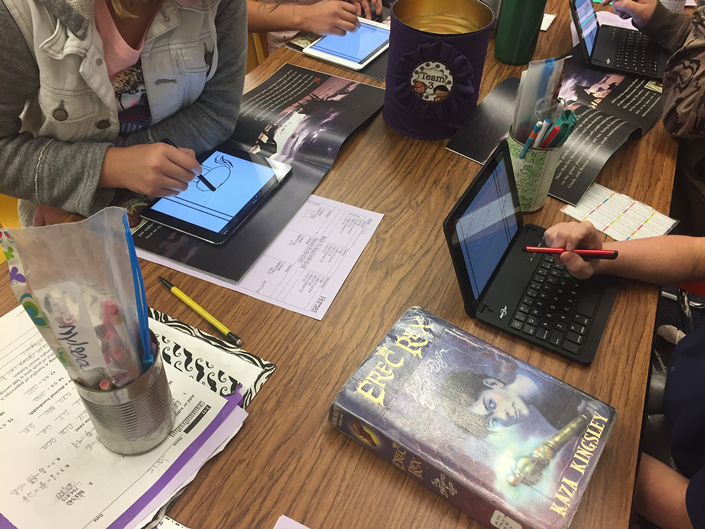 Parents needed to be able to see their student’s work and students needed to be able to work on documents at home without taking the iPads with them. I wanted to be able to grade and comment on the work right where it was and maybe be able to give it a cute stamp was a plus. I am a much better teacher with Showbie because I am not in constant fear that something is going to go wrong. Showbie: What other programs/apps did you try before settling on Showbie? CP: Over the summer of 2016, I tried out several programs I had tried in the past like Edmodo, Schoology, and Canvas but the documents had to be downloaded and then uploaded, what a mess. I searched paperless classroom and classroom workflow and came up with eBackPack. A great program and at a great price, $39/classroom. That wouldn’t break the bank! We began this year using it. All was great until more students needed help saving things and remembering where to put things. It was just too much for my little 9-10 year olds. Back to paper we went for assignments. 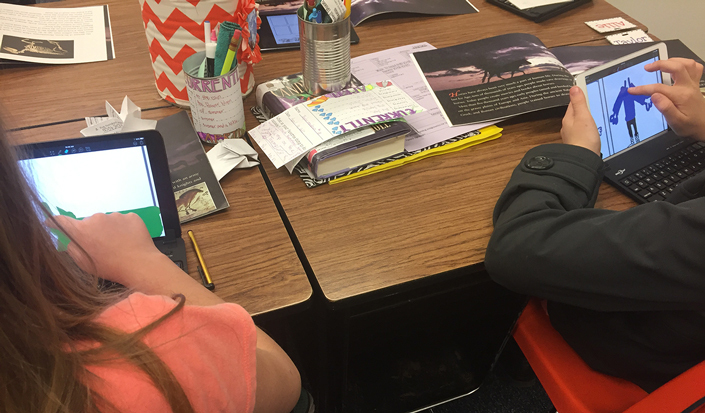 The year progressed and we tried Google Classroom. I began pinning helps and tutorial on Pinterest. There wasn’t enough time to figure it out and then get my students to figure it out. Things got saved all over the place. I didn’t know what was finished or what was still in progress. Then, we tried Notability and Dropbox. Both are awesome. We started the week and everything went really well. Then came time to grade everything. Well, they had to upload to Dropbox, I had to download to Acrobat, then upload back to Dropbox for them to download to Notability. Okay for one person, but not for 27 kiddos. The worst part was that their work was on the iPad assigned to them. They couldn’t do it at home if needed. Then I introduced my students to Showbie. They have been such troopers playing along with me as we tried different things. They love it. It is so easy to use. Everything is right there, you don’t have to move anything. Parents have a code and they can see that day what their child has been working on and what needs to be done. Showbie: How have you been using Showbie? CP: I now use Showbie for math, reading, language arts, science, Idaho History, and handwriting. We also use the iPads for origami and Zentangle. We take spelling tests on SpellingCity.com and Math and Reading tests are on ThinkCentral.com. We write stories using our iPads. They make editing so much easier and they can even be illustrated. We explain our vocabulary words using BuddyPoke instead of definitions and make Movie Trailers using iMovie instead of book reports. My kids are 100% engaged in these activities and many others. Most of the above mentioned programs/apps can be assigned and graded through Showbie. I am a much better teacher with Showbie because I am not in constant fear that something is going to go wrong. My questions are answered quickly through online chat. Another great feature of Showbie is the ability to embed audio clips. I upload the pdf of the test and then record myself reading each test question. My students who need the test read to them can now sit with the rest of their classmates and use headphones to take their test right in the classroom. Showbie: What do you like most about Showbie? CP: The best part of this journey is that there are no more lost and no-name papers. Students can’t lose their assignments. Their desks are also a lot cleaner with nothing to stuff in the dark recesses never to be found. Yes, Showbie is a bit pricey, but you pay for what you get. It is well worth it for this elementary school classroom.